Lake Griffin Harbor, which is a 55+ community located in Leesburg in Central Florida, has an excellent selection of manufactured homes for sale. We have both move-in-ready, pre-owned homes and a few remaining lots available upon which you can choose to build a one-of-a-kind 1,344 sq. ft. value home featuring three bedrooms and two baths. Floor plans are customized for LGH by Jacobsen Homes and are currently being offered at extreme value pricing! 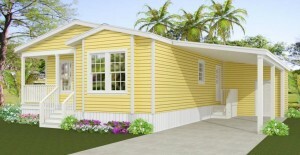 Various other homes are also available for custom build. Residents of Lake Griffin Harbor rarely are without some kind of stimulating activity to participate in, too. Some of the more popular activities that regularly take place inside of our community include line dancing, water aerobics, volleyball, bridge, darts, canasta, poker, and ceramics – just to name a few. For more information about Lake Griffin Harbor, and to request an up-to-date listing of our manufactured homes for sale in Central FL, contact our Lifestyle Team today. We also invite you to take a tour of our community so that you can see for yourself the many attributes that make it so special.